An essential part of Polyurethane application is having the right gun. In this article, we review the top seven types of Polyurethane applications, which gun is best, and why you should consider them for your next project. Virtually any spray gun will work great for roofing and wall insulation. The Graco Fusion line is a popular choice, along with the PMC Air Purge line. Click here for more options. In this episode of Fix-It Friday! – we discuss how to rebuild the Manual Valve on your Coupling Block. PMC’s Coupling Block features rebuildable valves, which allow you to better maintenance your block. Now through August 31, 2018 – trade in any proportioner and get $3,000 off a new PMC PH-2 Proportioner. We’ll take any proportioner in any condition! The PH2 Proportioner is a hydraulic machine with 28 lbs/minute output and max psi of 2,000. It can withstand up to 410 feet of hose and is perfect for any spray foam project including; attics, crawl spaces, residential insulation, storage tanks, roofs, and more. Also available for coatings projects with the PHX2 machine. This machine is economically priced with an open frame that makes it lightweight and capable of withstanding the long term needs of high pressure projects. You have your spray gun, now what? Different jobs require different mixing chambers and variable pressure from your machine. Your gun requires care and maintenance in order to extend the life of the gun. Here, we discuss the top six gun enhancements you should have on-hand in order to enhance and extend the life of your spray gun. SprayWorks Equipment Group is proud to announce its recent partnership with Graco Inc. Now a distributor for Graco pumps, mixers, guns, parts and Gusmer Reactors – customers have a complete line of products to choose from. The partnership was formed in order to fulfill customer needs and offer lower cost rigs with some of the highest quality equipment in the industry. 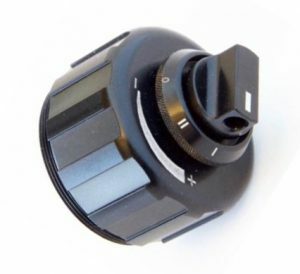 The AP Fusion Variable Flow Cap is designed to allow you to change the output of your Graco Fusion AP gun without having to change the mix chamber. The AP Fusion Adjustable Flow Cap Kit is the newest addition to the Graco Fusion AP spray gun. Preventing the applicator from having to purchase and replace multiple chamber sizes in order to achieve variable flow patterns, this gun make material flow a breeze. In this Fix-It Friday video, we review multiple types of Y-Filters and the respective screens. PMC, Graco, and Gusmer proportioners and reactors can be challenging to understand for a beginner. Even for the experienced applicator, maintenance and repairs can be overwhelming. In this video, we break down the components of the Pump Lube Assembly for PMC, Gusmer, and Graco machines. The Pump Lube Assembly, or Lube Reservoir, is responsible for preventing moisture from coming in contact the packings. At times, the DOP may become discolored or contain a milky white consistency.